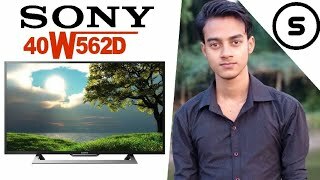 The 101.6 cm (40 inches) bravia klv-40w562d full hd smart led tv TV is manufactured by Sony and was added around May 2017. 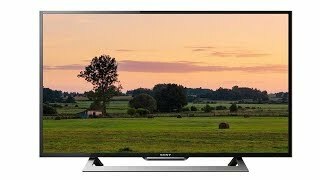 This version of the TV comes in Color : Slate , Screen Size : 40 Inch , Display Technology : LED , Special Features : Internet Connectivity , Special Features : Wifi , Special Features : Without 3D , Special Features : Smart TV , Refresh Rate : 50 HZ , Display Resolution : Full HD. 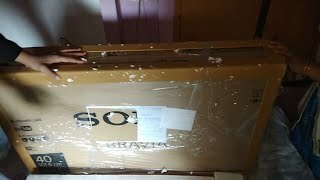 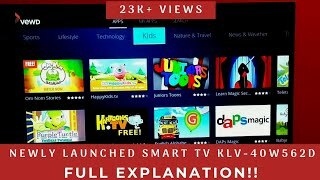 Unboxing of Sony Bravia KLV 40W562D Internet Tv.